English Heritage, the Government’s statutory adviser on the historic environment, maintains the National Heritage List for England, a list of buildings of historic or architectural interest. 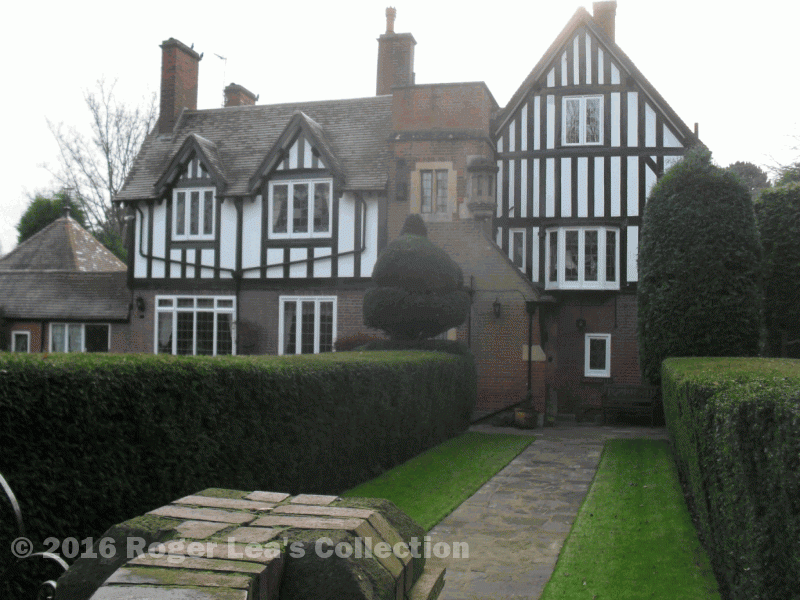 There are over a hundred listed buildings in Sutton Coldfield, many of them listed for their architectural value, particularly the many private houses built between 1890 and 1910 which were designed by architects of the Arts and Crafts movement. Some of these architects - for example, Bateman, Bidlake, Butler, Crouch and Titley - lived in Sutton in houses they had designed for themselves, as well as designing grander houses for their more wealthy clients. Thirteen of the houses designed by the firm of Crouch and Butler in Sutton Coldfield are listed buildings, and they designed many other houses which are not listed; their non-domestic buildings include Four Oaks Methodist Church (1903), the School of Art (Lichfield Road, now part of Sutton College, 1902), both Grade II listed, and some of the shops on the Parade (demolished in 1973). Joseph Crouch was born on the nineteenth of November 1859, the second son of a Birmingham master builder. On leaving King Edwards School he was articled to the architect D.H.Smith; he went to London, and returned to Birmingham to set up his own practice in 1882, aged 23. Edmund Butler’s father was the publican of the White Lion in Lozells, in the 1881 census 18-year-old Edmund is described as “architect’s pupil”. He joined Joseph Crouch at 7 Waterloo Street in 1886. Crouch and Butler were in demand when desirable building plots became available on the Driffold - 7,9,11,12 and 13 Driffold are their designs - 13 belonged to Thomas Barnsley the builder who had built Good Hope - and they designed houses for their own occupation, Butler at “Top o’ the Hill”, 12 Digby Road and Crouch at “Seven Gables”, 14 Digby Road. At Seven Gables Crouch applied the ideas about domestic architecture set out in his 1900 book The Apartments of the House - their arrangement, furnishing and decoration. 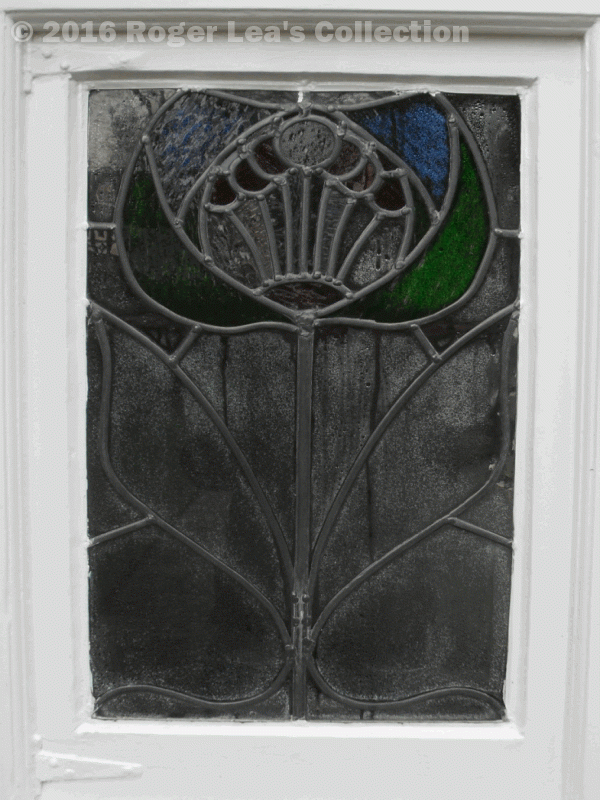 Some architects of the Arts and Crafts movement favoured simple interiors, but Crouch and Butler designed interiors “hung with tapestries, gleaming with beaten metalwork and glowing with stained glass”. The National Heritage listing for Seven Gables goes into great detail about the interior, describing the craftsmanship of the Bromsgrove Guild of Applied Arts, and the frieze painted on canvas depicting scenes from William Morris’s A Dream of John Ball. Joseph Crouch did not stay long in Sutton - he was living in Kenilworth in 1911 - but the firm of Crouch and Butler continued designing Sutton buildings. Seven Gables, 14 Digby Road, designed by Joseph Crouch for himself, with the thin red bricks laid in English bond, stone dressings, timber framing and tiled roof typical of Arts and Crafts houses. A stained glass window at Seven Gables.